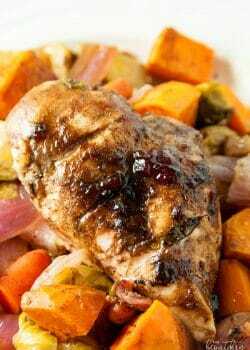 This recipe for Cranberry Balsamic Chicken is a great way to use up any leftover cranberry sauce after the holidays. 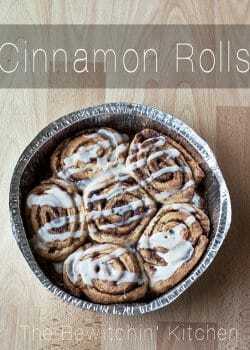 It makes a great glaze, and would be awesome on chicken wings too. I love it when strange ingredients come together in a surprising, but delicious way. I would never have thought to put cranberry sauce on chicken, let alone with balsamic vinegar. It works so well together! My husband is the only one in my household that likes cranberry sauce, however, he has a rule. He refuses to eat homemade sauce, therefore it has to be “real cranberry sauce”. FYI – the jelly that comes from a can. Since he’s the only one that eats it, there is always cranberry leftover when all the turkey is gone. 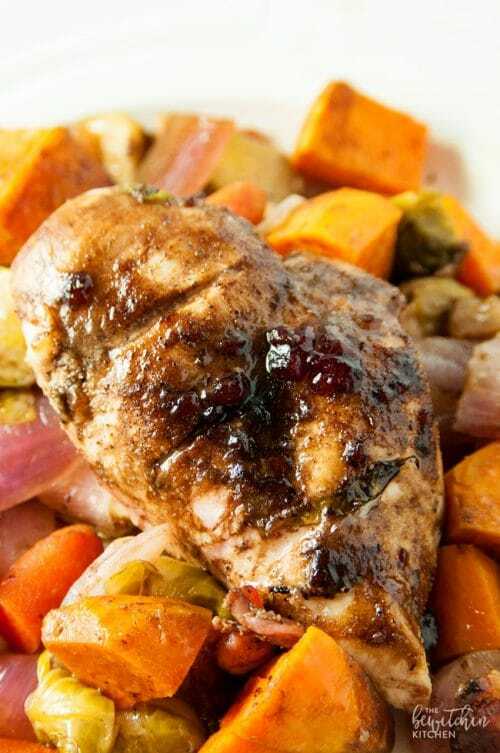 So I came up with a fun way to use some of it up: Cranberry Balsamic Chicken. Before ya’ll ask, my baking dish is from this CW by Corningware set , which made an appearance in this recipe for Roasted Chicken and Artichokes. 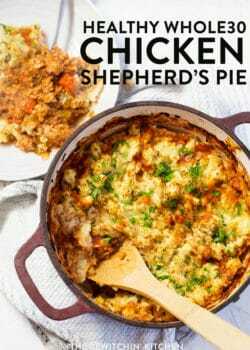 I originally made this recipe for my friends at Canadian Chicken Farmers but realized I put together the wrong kind of recipe (I was supposed to make an appetizer) so I kept this as some delicious, non-sponsored content for all of you. Which is fine, I do non-sponsored recipes and videos all the time – but there is a branded message in the above video. Which, again, is totally fine because I buy Canadian chicken anyway! 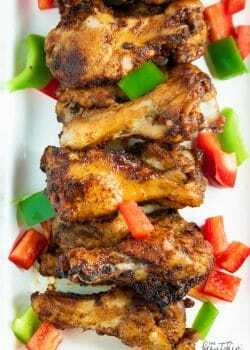 If you’re dying to know what appetizer I made it’s these Fajita Chicken Wings. 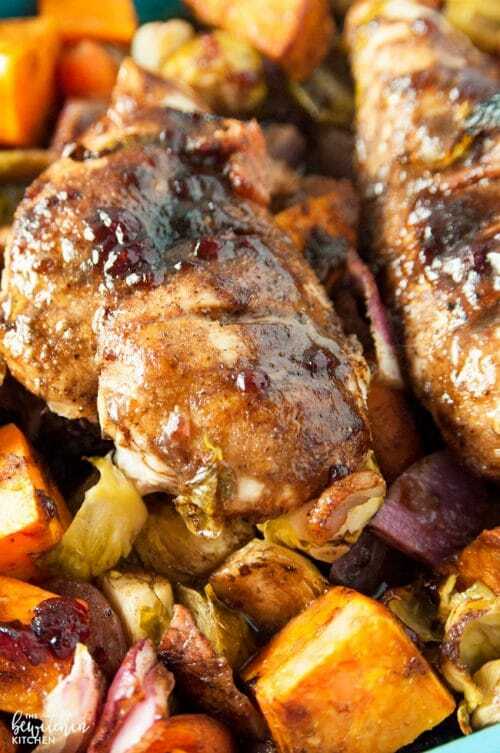 Grease a casserole dish with olive oil and add the chicken breasts. Optional: make three slits in each breast so the sauce soaks in. Arrange all the chopped vegetables around the chicken. In a separate bowl mix together the sauce cranberry balsamic sauce ingredients: olive oil, cranberry sauce, balsamic vinegar, salt and pepper. 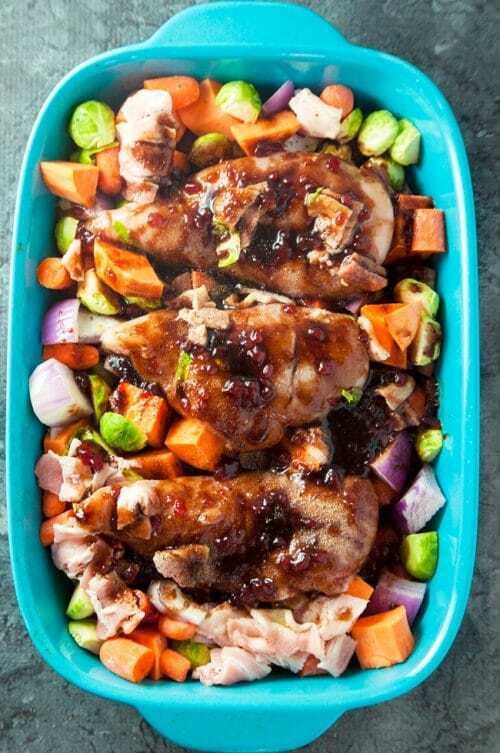 Pour the cranberry balsamic sauce over the chicken and vegetables and drizzle with a little extra olive oil. Bake for 45-50 minutes, or until chicken is done. Now isn’t this an awesome way to use up leftover cranberry sauce? 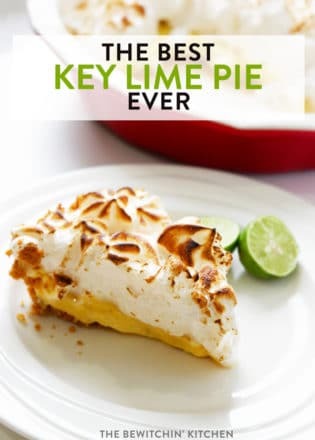 If you like this recipe, please send it to your friends. This post contains affiliate links. 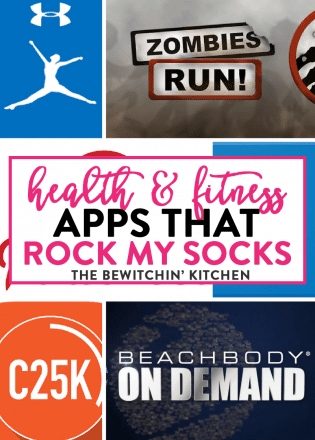 I put affiliate links in my blog to share the products that I love and use, and to make a little extra money. Never tried to cook chicken with balsamic vinegar before. I will try it! I used to use it all the time! It’s really yummy. My favorite is broccoli roasted with garlic, balsamic and parmesan! 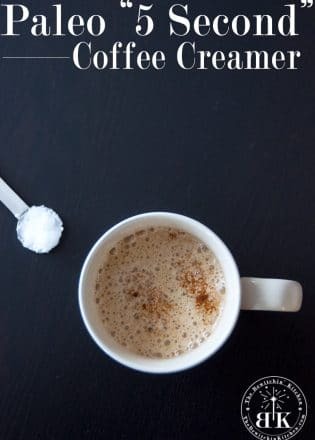 This sounds like a delicious mix of flavours! Love the colourful veggies! How would you count this for 21 day fix containers? 1 red = chicken and maybe 1/4 purple depending on how much sauce you add. 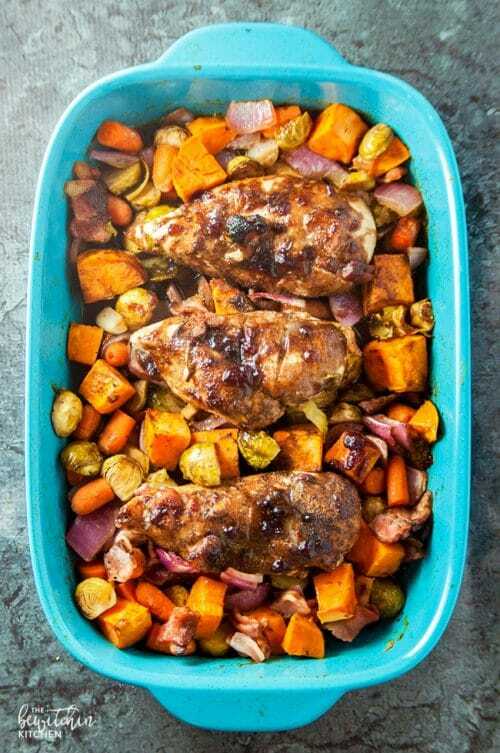 Looks healthy and delicious chicken recipe. Cranberry sauce will make it tasty and spicy. Will try it soon. do you use vinaigrette or regular balsamic vinegar?